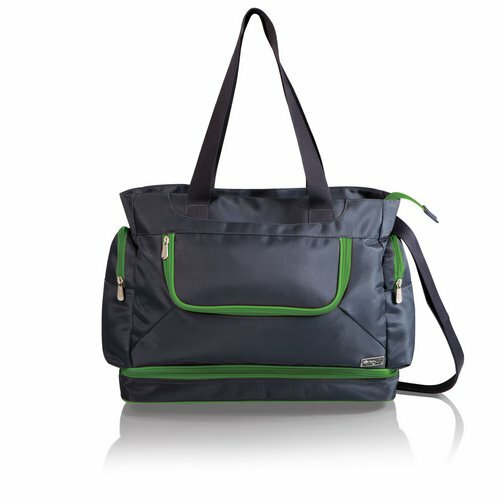 This cooler tote with bottom zipper compartment was designed with versatility in mind whether at the beach or the park. The main compartment is large enough to hold a beach towel and jacket. 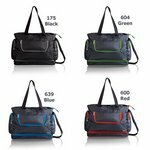 Four zippered pockets offer security for items you want to store discreetly. Two large flat pockets keep items tightly in place, and other compartments have pockets to store a variety of items, all shapes and sizes. Three insulated pockets will keep your food or drinks at the right temperature, while the bottom compartment can be used to store canned beverage, sandals, or wet swim suits. 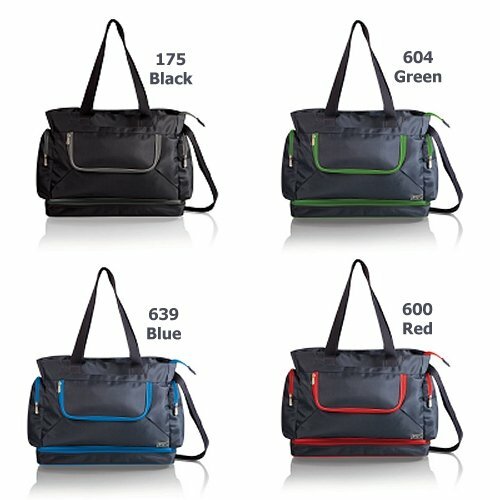 Colors Available:175 Black with Grey Trim, 639 Grey with Blue Trim, 604 Grey with Lime Trim or 600 Grey with Red Trim. Dimensions:12.75" x 3.75" x 24.25"